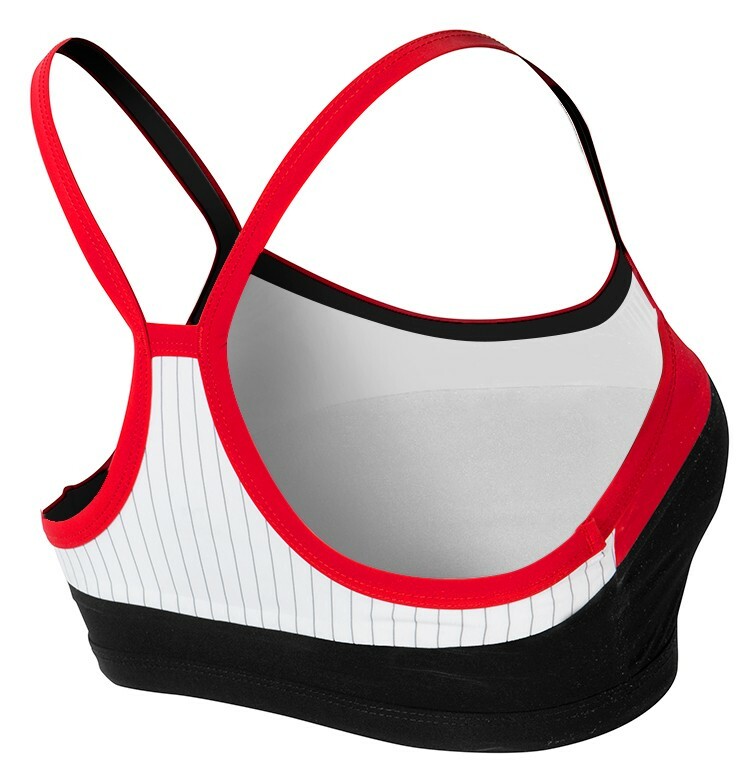 The Women's Carbon Thin Strap Bra provides superior support and comfort from start to finish. Constructed from our breakthrough Carbon Woven technology, the BEFTB6A tri bra helps lower your body temperature and heart rate and results in more efficient breathing and less lactic acid buildup. 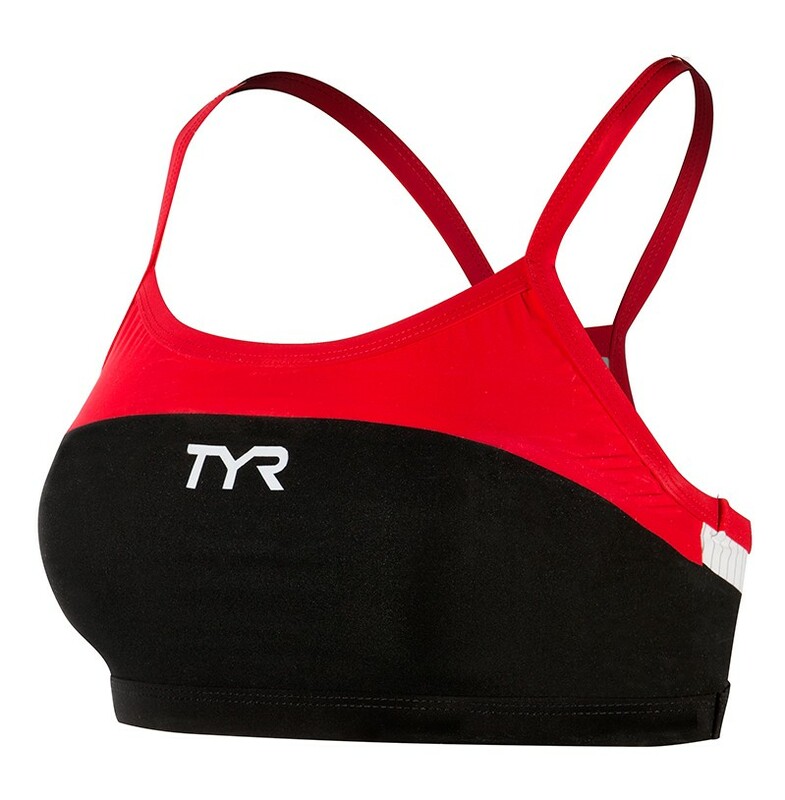 This triathlon bra features smooth bonded seams for maximum strength/comfort and minimal drag/chafing. The thin straps give you support without weighing you down. Equipped with carbon flash mesh, this sports bra draws moisture away from the body, keeping you feeling light and dry throughout the race. Don't just feel fresh; look fresh too in your choice of fiery red or powerful purple accents. 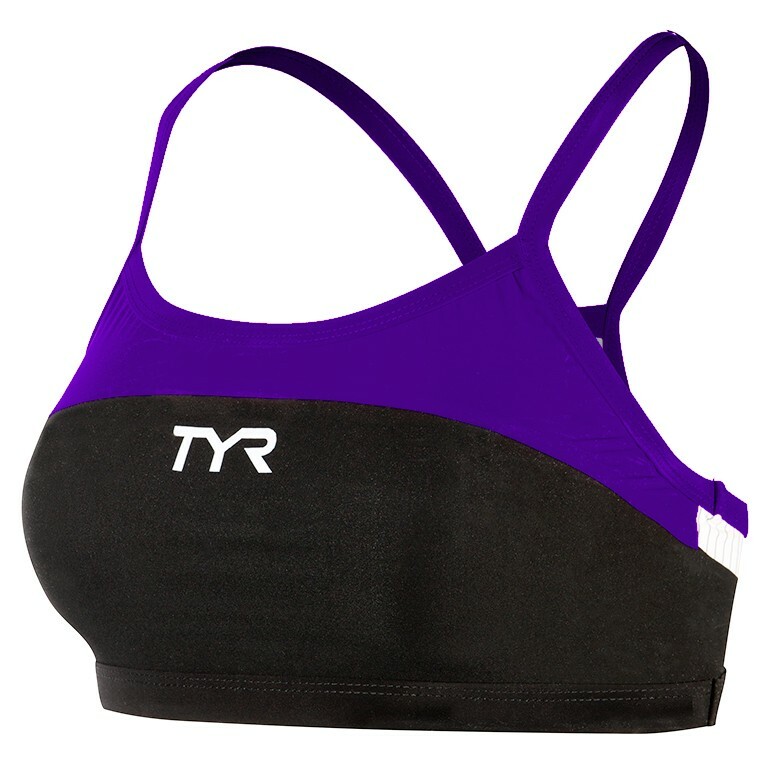 All TYR Carbon bras feature a second-skin compression fit, as well as UPF 50+ protection.